Act promptly. As with all stains you have to resist the temptation to push the stain further in; blot the excess with a paper towel, do not rub. Start from the edges and work inward, to prevent the stain from spreading. Use a non-acetone nail polish remover on a cloth to blot the stain out. Hair spray or rubbing alcohol can also work, but spot test in an inconspicuous place to make sure the carpet colour isn’t affected. Once the nail polish is gone, wash with mild detergent (dishwashing liquid) and warm water. Blot the stain with rubbing alcohol and a paper towel, working from the outside edges to the inside. This may take some time. 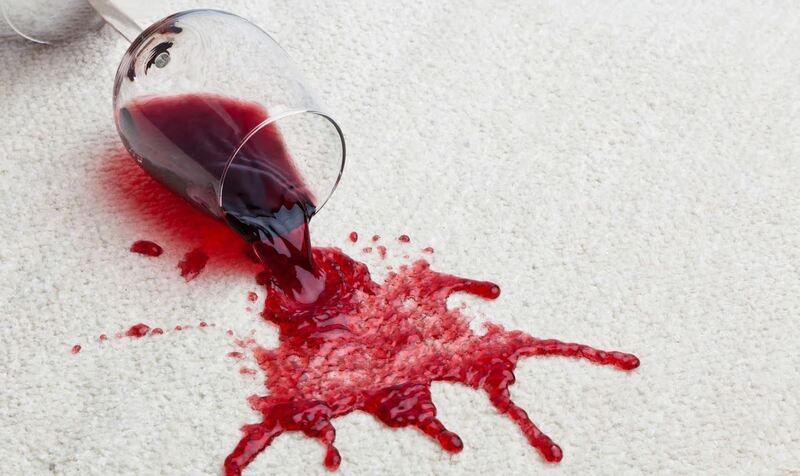 After the stain is gone you can remove the alcohol with warm water and detergent. If the shape of the ink blot causes a strong emotional reaction, consult a psychoanalyst. Coffee stains are as common as coffee drinkers; in some households this means frequent stains. On carpet this is an issue. For black coffee blot excess coffee with a towel, and then blot the stain with either a mixture of 2 part water to one part vinegar, or with diluted detergent. If there was any milk in the coffee add an enzyme laundry detergent. After rinsing with water cover with a paper towel to soak up the moisture. Absorb as much liquid as possible with a cloth. Then try a mixture of baking soda and water (3 parts water, I part soda), or club soda, or diluted white vinegar, or a professional stain remover (follow the direction on the pack). Some people claim white wine helps remove red wine stains. We cannot vouch for this method. This is not quite the same as red wine. Blot as with the other stains, and use either diluted ammonia (one tablespoon per 2 cups of water), or a cup of hydrogen peroxide with a tablespoon of detergent. After any stain has affected your carpet you should seriously consider steam cleaning. For carpet cleaning, Perth based Top Carpet cleaning is recommend. People buy into strata housing partly because of the community and services provided. Staying clean is a service they take for granted. If the common areas of the strata are clean most people say nothing; if anything is wrong with the cleaning you will very quickly get complaints. Strata do have staff, but their job is maintenance. Some staff work as janitors and clean on a regular basis, but this is not the normal arrangement. It is rather disheartening to only clean the one building over and over again, especially when one does not live there. Most strata outsource their cleaning, so there is more than one individual looking after the situation. 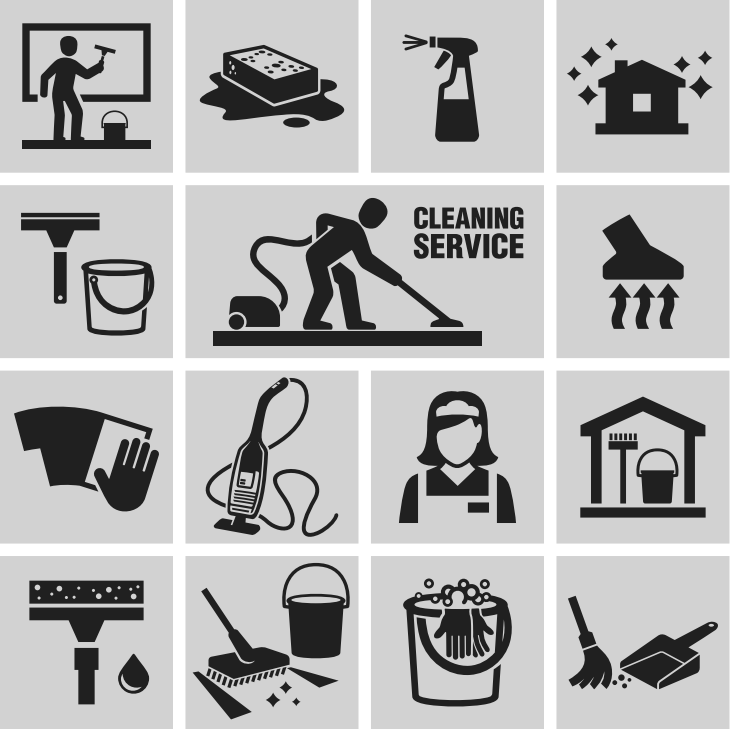 Professional outsourced cleaning staff will be reliable. The individual employees are trained for the job and know their performance is being monitored by the company. The company has a reputation to maintain; they won’t let the staff become negligent. Furthermore, if an individual cleaner is ill the company have replacement staff. Professional cleaning means the strata is in the hands of an organization rather than an individual. There’s also flexibility. Professional cleaners work around the client’s schedule, not their own needs. With Strata this actually works well for both parties. Most office cleaning is done outside of business hours, meaning the cleaners are free during the day. This means strata cleaning can be done while most people are a work. Professional cleaners have the heavy duty equipment. Few people use industrial vacuums and steam cleaning every day, so cannot afford the expense. Professional cleaning companies always use the high end products. Professional cleaning of strata seems the best option. It costs less than a full time janitor and provides excellent results. The Car Wash is more of a cultural phenomenon than what one would expect. Google the term and you will find popular songs, television episodes and at least one film. Very few people write songs about cleaning windows or floors. Cars are important to their owners and car washes are culturally iconic. It has been the convention wisdom for years that automatic drive through car washes are bad for the exterior paint of your vehicle. This is at least partly myth. Car wash facilities have been around since at least the 1920s, though the automatic versions didn’t really start till the 1950s. These earlier cleaning systems tended to use harsh brush rollers to clean the car surface, along with harsh detergents. These steadily wore at the paint, and people noticed the effect after a few years. Later car wash systems used only super cleaned water, with no solid surface touching the car. This removed virtually all risk of damaging the paint. There were also detergents developed that did not cause problems. To confuse matters many home washing techniques cause problems. 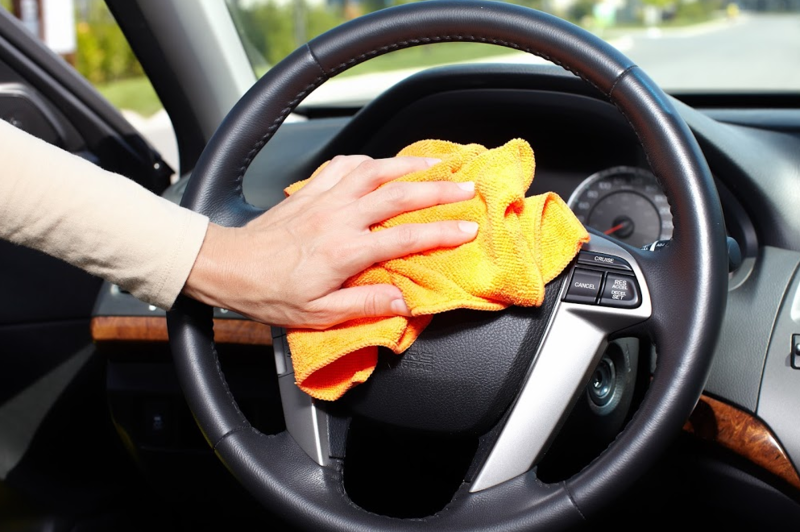 It varies greatly with the materials used, but many sponges used for car cleaning actually ruin the surface of the car. Ironically the attachments designed to fit over the end of a hose, the ones specifically designed to clean cars, were found to cause the most damage. This matter was compounded by the amount of water used. The average domestic house hose had insufficient pressure to properly clean a car surface, meaning more water and more use of the sponge was required. Worst of all the water, and the detergent it now contained, both entered the water supply and contaminated the surrounding soil. The environmental effects of a well-run car wash are less than that of home washing. With the professional system the water is reclaimed, filtered and reused at least to some degree. This process serves to reclaim detergents and other substances, preventing them from entering surrounding soil or the local water supply. Energy use in commercial car washes is also kept to a minimum. Hi car wash, the definitive car wash in Perth, uses a combination of hand-washing and modern techniques. This makes for a well-kept car, almost no risk of vehicle damage, and the best present option for reducing environmental impact. Some elements mix well to form compounds; and some compounds even mix with others. Cladding is the bonding of dissimilar materials that do not mix at a chemical level. Various methods are used to permanently attach these materials. Two dissimilar metals might be permanently attached by roll bonding, explosive welding or by applying powder with a laser. The combination of two different metals may be pursued to gain the advantages of both. Metal Pipe cladding is the most popular type, but other materials (such as PVC) are also used. Like all metal materials this is durable and very long lasting. Water runs off the surface or Colorbond, even at shallow angles. There are several colours, which can blend in, compliment a décor or stand out as required. No painting, the colour is permanently bonded to the metal. This has the corrosion properties of copper with the tensile strength of steel. Is has longer lifespan than steel because of the coppers’ low corrosion. Good electrical properties, making it useful for electrical grounding. Provided more thermal insulation than most metal systems. Incredibly robust under almost all situations. It resists almost all corrosions, except where joined to a dissimilar metal. Aesthetically appealing in many textures, but very hard to paint. Though less strong than steel it is more the strong enough for most situations. No corrosion with clean air and water. Corrosion occurs with salt water/air. Can be painted with special techniques, but is usually left bare. Most effects of acupuncture massage are good, but some are a reaction to an underlying issue. The effect isn’t bad; it’s normal, given that the individual isn’t in absolutely perfect health. If we were in perfect health we wouldn’t have gone for a massage! Sometimes things seem to get a little worse before they feel better. Make no mistake, they are actually getting better, it just feels uncomfortable at first; like losing a bad habit or giving up an addiction. Sometimes the very symptoms we went to have treated seem to get worse. This is termed a healing crisis. Your body is returning to correct functioning, and you healing systems is starting to work. You are probably experiencing heightened sensitivity, which means you notice bodily sensations that were previously in the background. You are also probably loosening muscles that you previously held tight. This can be simultansously uncomfortable and gratifying. Ever go on a skiing and feel sore because of all those muscles you don’t usually use? You muscles will be better for the experience, and there can be a gratification in this tiredness. It is not uncommon to feel fatigue after a massage. Many people feel more energy, especially if they are regular patients. But after the first few sessions you might well feel tired. This is neither unpleasant or a cause for concern. The tiredness feels like a continuation of what you felt during the massage. After a bath a nights rest you will better than your usual self. Soreness – Acupuncture and Massage Homebush. Were this only acupuncture it would seems obvious to the naïve- of course sticking things into me will make me sore; I’m surprised it isn’t worse! But the point is the treatment is helping. Like the recently exercised muscles the soreness is a sign of improvement. Massage and acupuncture might be considered alternative aprouches by some, but they are very effective for many conditions, or just for feeling a lot better. Try an alternative to your present lifestyle, and find something new. MJ Clinc offer massage and acupuncture for Strathfield, Concord, Homebush and Burwood. Selective schools test to find the most capable young students. There are many arguments for and against this. Some arguments question whether or not the more capable student should be put together; some question the selection method. One criticism leveled at selective schools is that the individual students suffer cultural shock when they realize they are no longer the smartest kid in the class. This is undoubtedly a huge adjustment, but it’s a necessary and humbling one; and something better learnt sooner than later. If a child realizes that there are minds smarter than theirs, as well as minds less capable, then they are getting a realistic perspective. It would be far worse for the student to have delusions and overestimate their ability. This criticism confuses self-esteem with superiority. A child and well-adjusted adult needs to feel valued for being a fellow human being, for achieving goals; not for competitiveness and trying to outdo others. Selective schools are beneficial this way; the child knows there are others at the same level as him/herself, and that this is perfectly acceptable. A more valid criticism is that the selective criteria for these schools are poor; that the tests cater to coaching and rote learning. While this is true it must be remembered that it is quite difficult to have a completely impartial test. It must also be remembered that rote learning is part of the practical world, and being prepared for exams (coaching) is also a reflection of real world situations. Tests are not just about intelligence, they are about motivation, time management, preparation, and the notion that some things are true even if they defy analytical thinking. If a child can prepare itself to do better, then it deserves some support. A variant criticism of the test criteria is that the children can be coached to do well. This is partly valid, as coaching is a considerable help for many children. But this is only bringing a child to its potential. If the coached children did well in the entrance test only to fail at the school we would have cause for concern. There is no evidence of this. Academic coaching is like sports coaching in this regard; get the best possible performance from an individual in a specific pursuit. The hair we are born with is only one option. Our genetics tend to provide us with a look that fits together. But what we already have is only one option. There are always other combinations, other eye and hairs colours, that match in a different way. Chances are we might find one that fits in with our personality or personal taste. Or, a new look might even make us a more outgoing person. A solid colour can work well. Very young children tend to have this look. At the same time being in the Sun can give our hair highlights. This might make us question the meaning of the work ‘natural’; is it what we are born with or what we have as a result of our general living? Either way, good highlights can be a seamless part of our appearance. And if we aren’t blessed with perfect skin (even models struggle here) the two tone hair look seems to both match the uneven skin, and simultaneously make it less noticeable. Nobody thinks pink, blue or green are natural hair colours. But they do work well for some people. The common misperception is that anybody who uses these colours is very outgoing. Some of them are, but other are quiet and creative souls. Pink hair probably won’t land you a conservative job (due to the interviewer’s misconceptions, not ours!) but it might well make you feel comfortable in your own skin. Darker hair is hard to dye, and the effects are less noticeable even with the greater effort. But if you have light skin the results can work well. Lighter coloured hair tends to take different colours very well; and as lighter hair tends to go with lighter skin so just about any colour can suit the skin completion. Of course the best colour in the world is wasted without the right cut. Talk to your Hairdresser, Sydney has many fine options.